Does It Make Sense to Upgrade to a Tankless Water Heater? 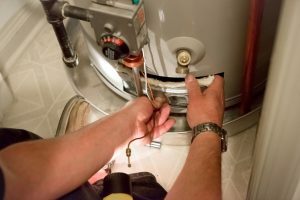 “Did my water heater always do that?” Unless you’re a plumber in Frisco, TX, you might not know the signs of when your water heater needs repairs. Luckily, we’re here to spread some wisdom on some common water heater issues. For a tank water heater, the tank is the most vital part. The water is heated inside the tank, and the heated water will be stored there until it’s ready for use—several gallons of water, at that. As soon as the tank develops a leak, it’s done for. While there are many measures in place to prevent leaks, such as a glass lining, the anode rod, and other regulators, leaks can still happen under certain conditions. The water heater’s temperature should stay at about 120 degrees. Not only is a it a good temperature to prevent you being scalded by it, but it’s good for the tank, too. If you find that your water heater keeps fluctuating between higher and lower temperatures, it could be an indication that there’s too much sediment built up in the tank. It also means the tank’s efficiency is compromised. Is it the case that there’s simply no hot water coming out of your water heater? Not to give you a cheap answer, but this problem can be due to many things. It most likely has something to do with the heating elements themselves, whether you have a gas or electric water heater. We’d recommend turning off the heater entirely and calling in someone for repairs to make sure it isn’t something too serious. If your heater is making a popping noise, it means there’s too much sediment built up in your tank. Sediments naturally deposit to the bottom of the tank when minerals get separated from the heated water. They all sink to the bottom, and the pockets of heat beneath them can pop. The noise itself isn’t harmful, but too much sediment is liable to create a hole in your tank. If you turn on your faucets to find that the cold water runs fine, but the heated water suddenly runs very slowly, then you’re experiencing another symptom of sediment buildup. Fear not, you simply need to flush the water from the tank—a task that needs to be done annually. There are actually a few different reasons for bad tasting water, and most of them would have to do with the quality of the water coming from the municipal supply—especially if the water tastes salty or like chemicals. In the case that the water tastes metallic, however, the reason could be due to corrosion in your water heater. The high mineral content that creates corrosion is nothing new; your heater has measures to prevent this. Tasting metal, then, could mean that your water heater’s defenses have been compromised. You should have the tank and anode rod inspected immediately to make sure that they’re still defending against corrosion (and if the tank is fine, have them figure out why the water tastes weird!). Contact Hutchins Plumbing & Air Conditioning today for a water heater inspection!